CCST convenes a network of partner institutions from across California to respond to policy questions in Sacramento involving science. By translating technical expertise from the likes of University of California and California State University campuses, California Community Colleges, SLAC National Accelerator Laboratory, Sandia National Laboratories, and NASA Ames Research Center, CCST hopes to make California’s policies stronger with science. Completing an historic four terms as California’s chief executive, Governor Jerry Brown made sure one of his final undertakings in office highlighted an issue dear to his cause: climate change. With multinational partners and the United Nations, Governor Brown announced he would host the Global Climate Action Summit (GCAS 2018) in September 2018 — bringing international leaders in government, industry, academia, and social impact to San Francisco for a week of information exchange and collaboration. 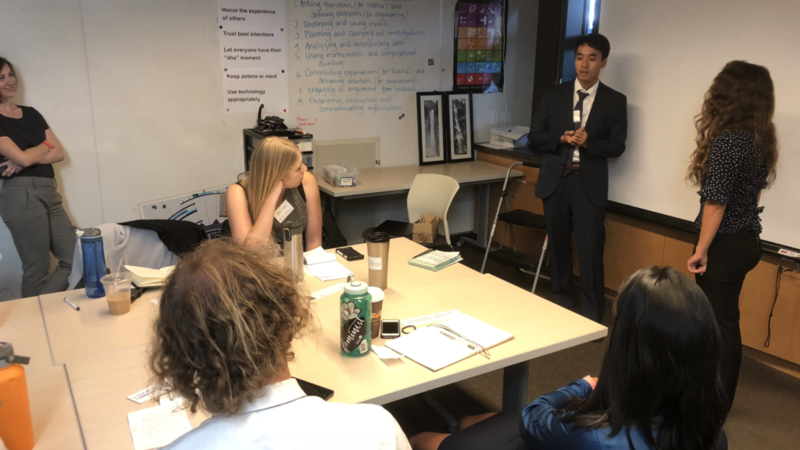 As a prelude to GCAS 2018, Governor Brown charged his Office of Planning and Research (OPR) and its Strategic Growth Council (SGC) to organize “Science to Action Day” — a day of expert panels on how natural and social science research can inform climate action on the ground. 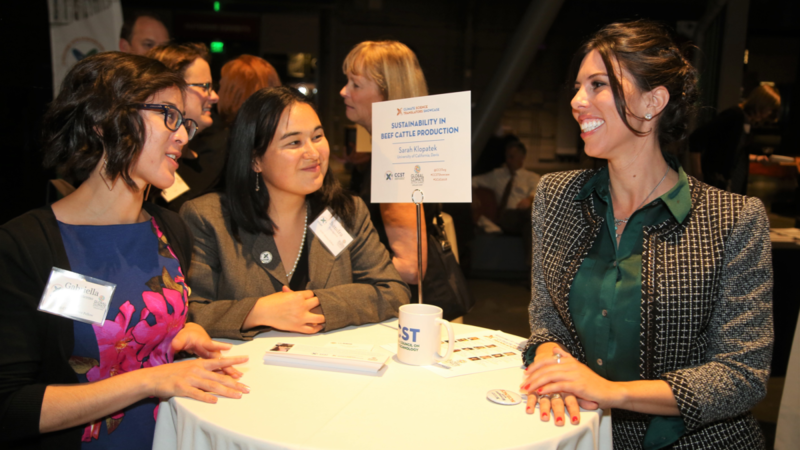 As a leader in California’s science policy landscape, CCST was invited to take an active part in Science to Action Day. 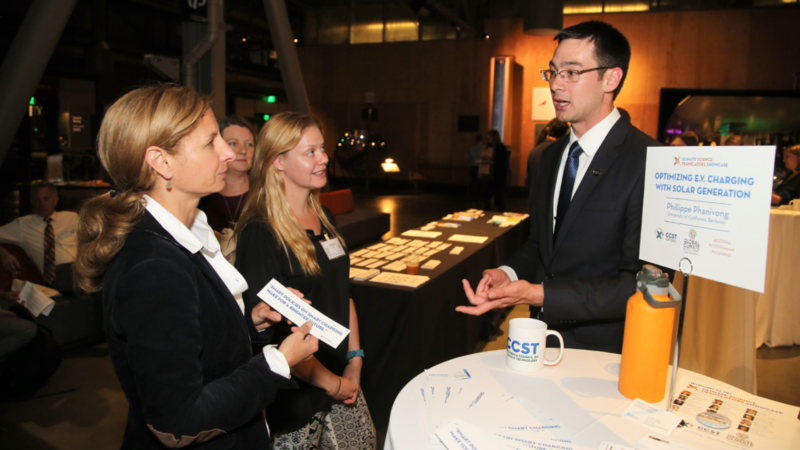 Befitting its relationship with California research universities, CCST was asked to help coordinate the day’s concluding event — a reception celebrating the critical roles of science and higher education in solving climate change challenges. 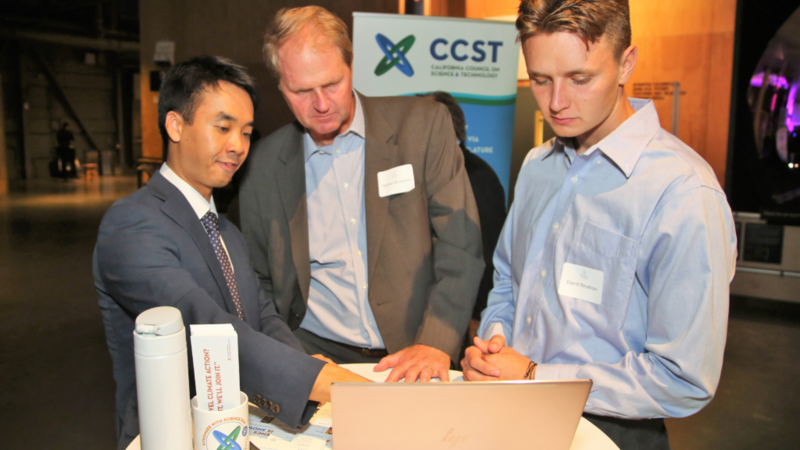 It was the perfect opportunity for CCST to repeat its Science Translators Showcase Program. There are many science communication training approaches and curricula out there, from improv acting to “three-minute thesis” short talks. But not enough programs focus on the art of networking and conversation — perhaps the most practical and realistic format of communicating science. 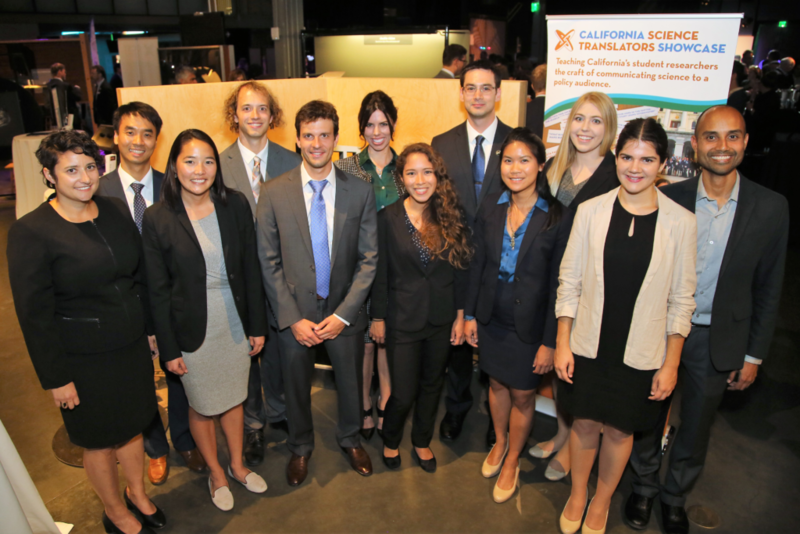 A conversational focus was the key feature of the California Science Translators Showcase (#CCSTShowcase), a new program I designed, managed, and delivered for CCST in February 2018. 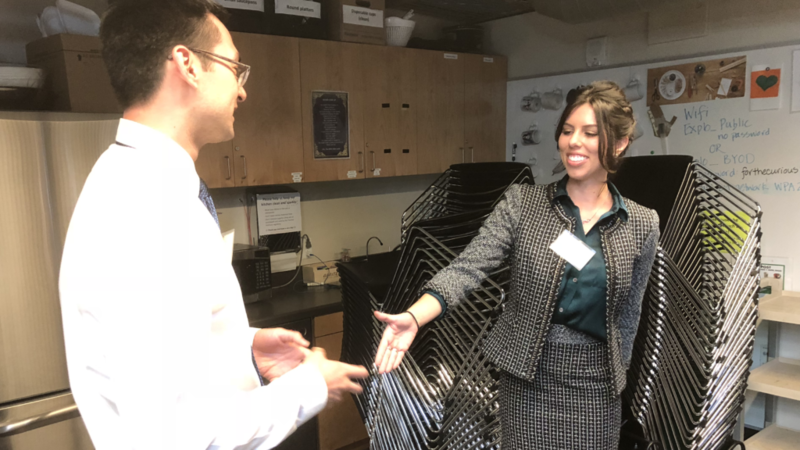 The Showcase recruited and trained California graduate and postdoc researchers in the principles of science communication — in particular, how to translate expertise and and provide science advice to state-level policymakers. 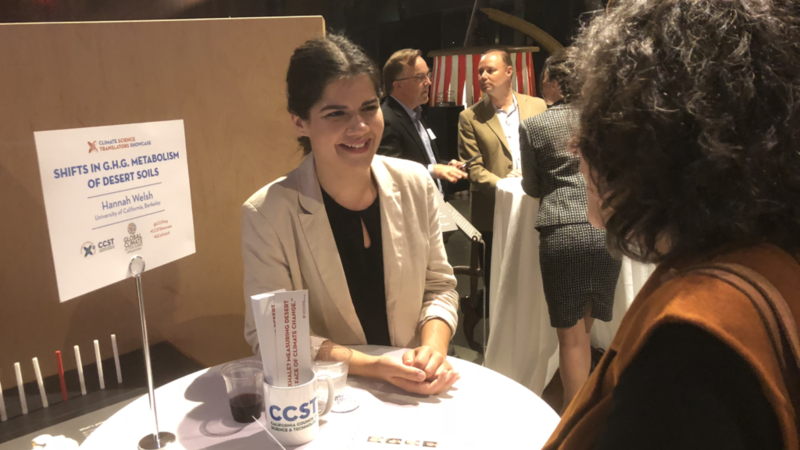 The program culminated in the eponymous Showcase, a networking event where researchers got to mingle and talk with government leaders and policy professionals. 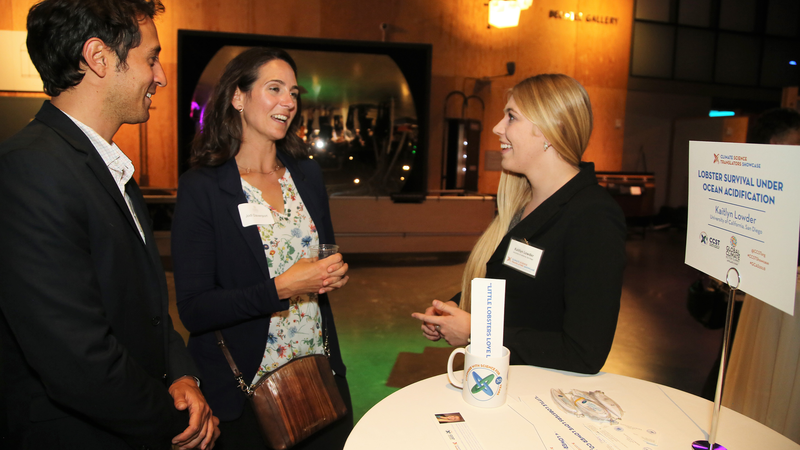 Graduate and postdoc scientists gain valuable experience in thinking on their feet and translating their knowledge for a policy audience — while legislators and staffers gain timely advice on scientific matters with policy relevance. 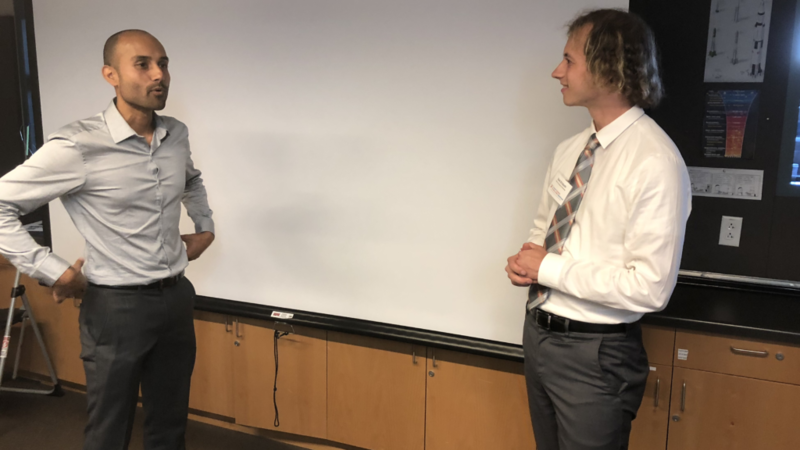 From participant feedback, we already knew that the Showcase training and event was a fantastic experience for our grad student and postdoc participants. But hosting the Showcase again for GCAS 2018 would provide proof that the program was of sound design — readily adaptable and deployed to complement any major science policy event. 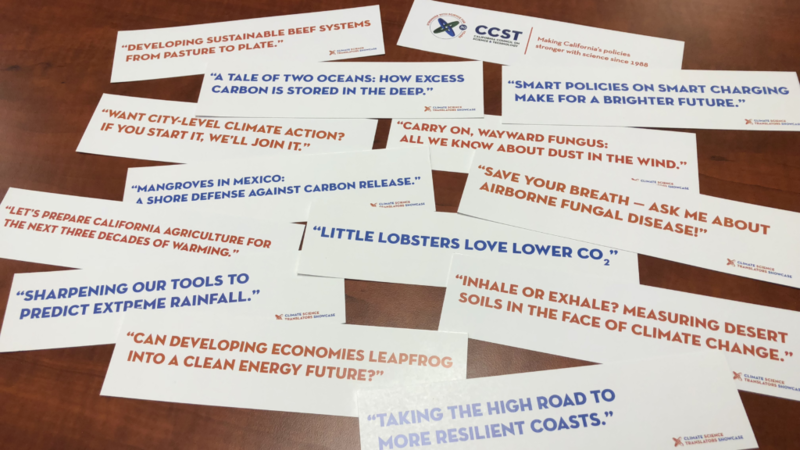 For GCAS 2018, I updated the program branding as the Climate Science Translators Showcase. 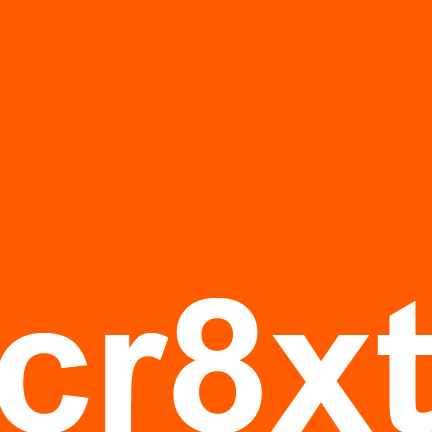 Once again, we called for audition videos of 60-second science explanations tailored for a policy audience, this time limiting submissions to research related to climate change and adaptation policies. 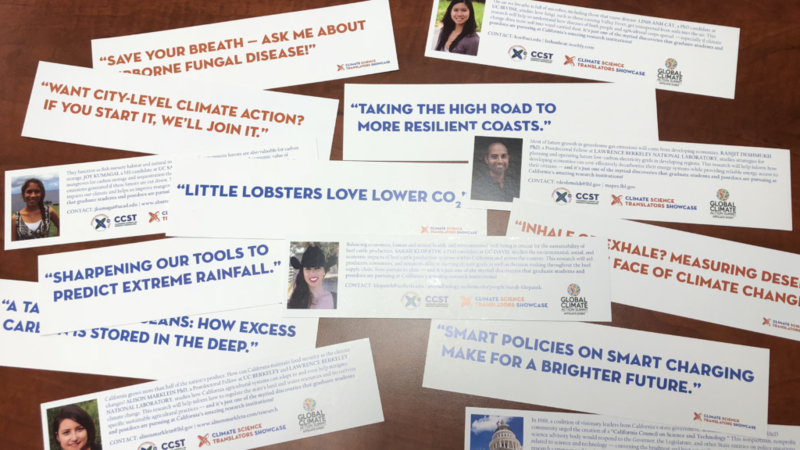 For the webinar trainings, I again used the Creative Externalities Connecting with Your Audience curriculum and worksheet as the scicomm primer. 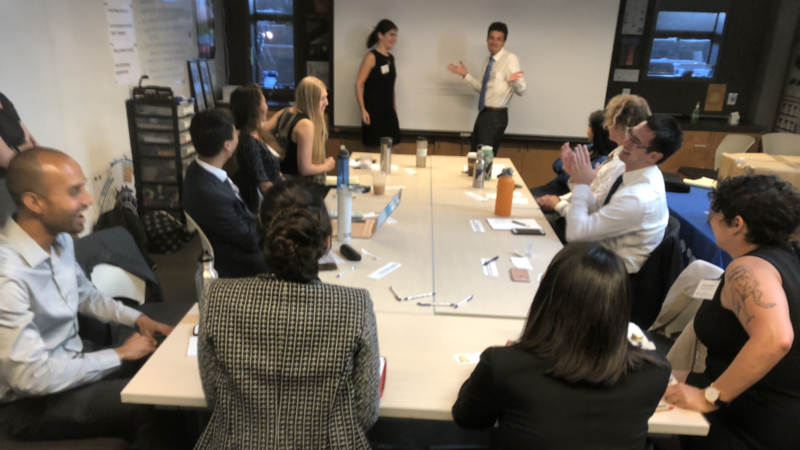 I also made improvements to the California science policy primer, the remote collaboration and mentoring elements, as well as the mock-networking experience and event day orientation. In the end, we invited 12 talented graduate students and postdocs as our Climate Science Translators cohort, representing California research institutions such as the Lawrence Berkeley National Laboratory, Stanford, Caltech, UC San Diego, UC Irvine, UC Davis, UC Berkeley, and University of Southern California. Their expertise spanned topics such as ocean acidification, electric vehicle charging, beef production sustainability, Central Valley fever, and local government policy adoption. 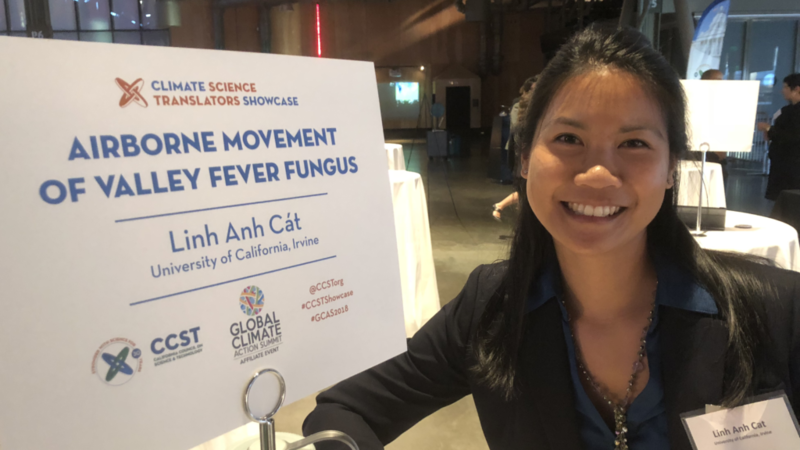 Held under the dazzling lights of the Exploratorium museum in San Francisco, the Science and Education Celebration and our Climate Science Translators Showcase made for a night to remember. University of California President Janet Napolitano gave the opening remarks for the reception, inviting honored guests to meet and converse with our Climate Science Translators. 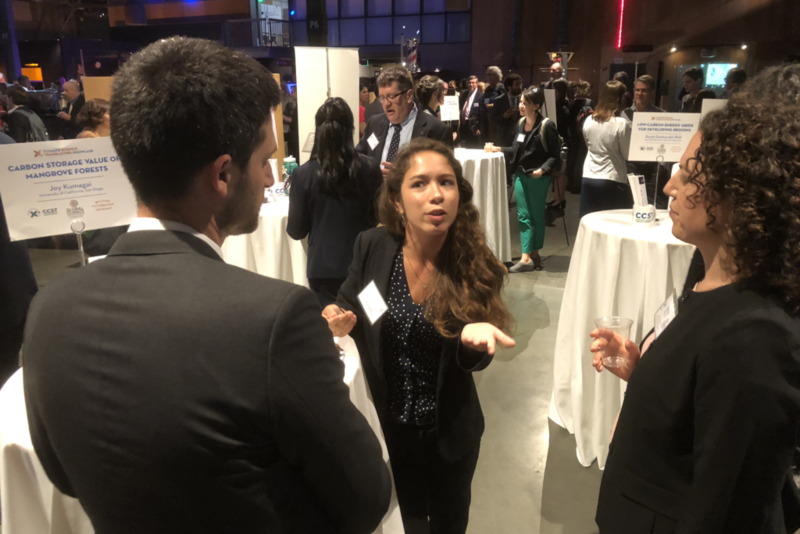 And over the course of the evening, our Showcase participants got to flex their conversational and scicomm muscles with California lawmakers, state agency directors, university deans, industry representatives, and other climate change leaders. It was an auspicious evening for CCST, which also celebrated the 30th anniversary of its founding that very same week. My heartfelt thanks go to my CCST friends and colleagues for supporting program logistics again — in particular to the incomparable Annie Morgan and Puneet Bhullar. Finally, I raise a glass to our 12 Climate Science Translators — this Showcase program was created for them, and everyone’s happy, tired smiles (and selfie camaraderie) by the end of the night was all the reward we needed.